B.C. police, government and ICBC have launched December's CounterAttack campaign against impaired driving, as British Columbians look forward to holiday festivities. B.C. has some of the toughest laws in Canada for impaired driving. As British Columbians get ready for their holiday festivities, police, government and ICBC launched December's CounterAttack campaign against impaired driving in Vancouver Wednesday. ICBC is urging drivers to ensure they have a safe ride home from planned holiday festivities and asking them to take their turn staying sober and acting as designated driver for friends and family. Figures for 2012 show impaired driving caused by alcohol, drugs or medication is a contributing factor in 22 per cent of fatal crashes. Speed remained the top contributing factor at 32 per cent followed by distracted driving, which contributed to 30 per cent of fatal crashes. B.C. 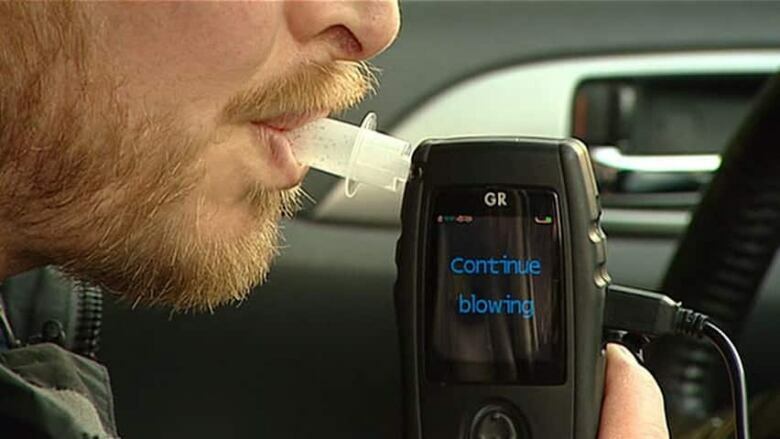 's impaired driving law, which came into effect in 2010, has been described as the strictest in Canada and originally allowed police to issue roadside suspensions, impound cars and levy huge fines for drivers with a blood alcohol level of 0.05 or higher. But the B.C. Supreme Court struck down part of the law in 2011, prompting the government to amend the law in 2012, strengthening the rights of accused impaired drivers to challenge roadside screening tests and appeal immediate roadside prohibitions.